Warning: this project is now deprecated in favor of the second revision. 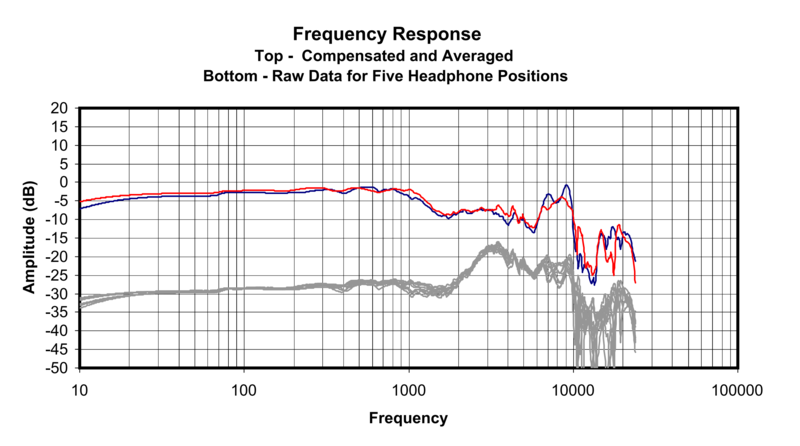 Target frequency response: an average of 47 subjects’ head-related transfer functions by Dorte Hammershøi and Henrik Møller (recommended as most accurate on Rin Choi’s blog), with 4dB sub-100Hz bass boost for body vibration compensation. Equalizer APO in variable band graphic equalizer mode (quasi-parametric: custom frequencies and gains, no Q/bandwidth setting because straight lines are drawn between the set points). In Excel, I laid a log-scale graph over the HE400i’s frequency response, which in turn is laid over the target frequency response. 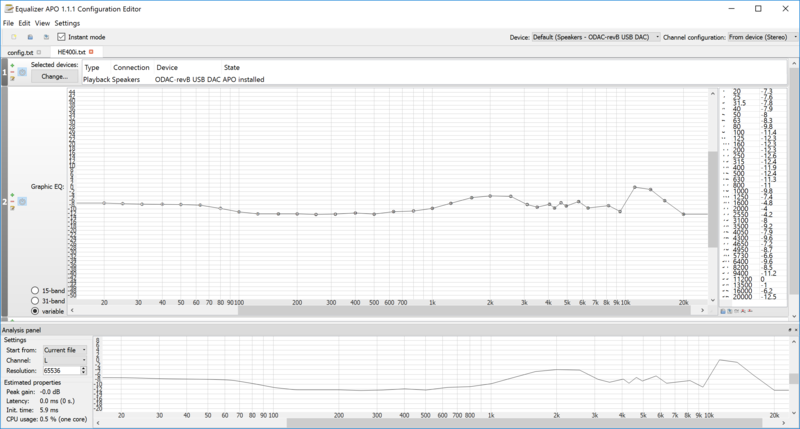 I modeled points (frequency, volume) on both response curves and subtracted them to get EQ gain values as well as a properly compensated frequency response, which I imported into Room EQ Wizard to calculate parametric EQ settings. 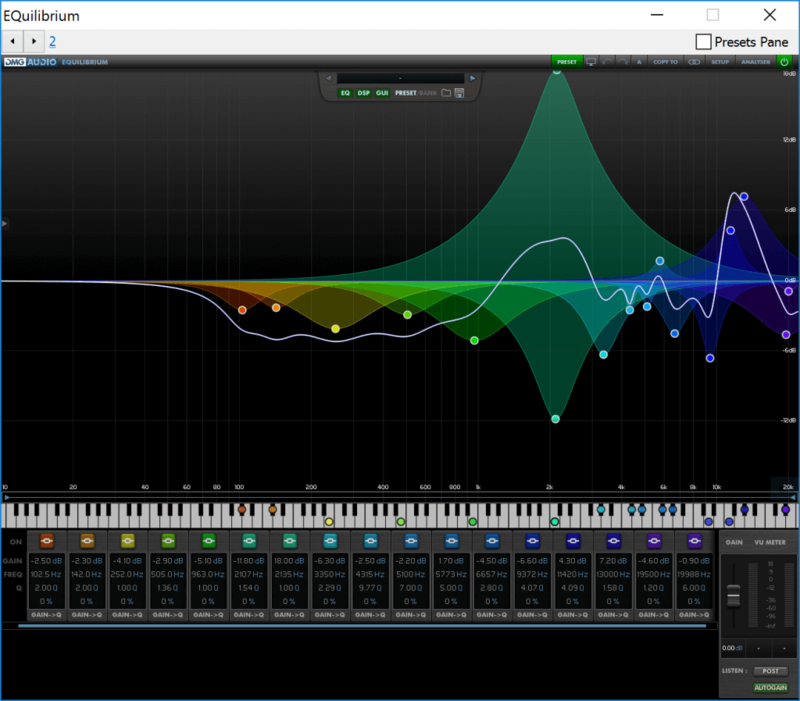 Download the Equalizer APO config file and the Excel spreadsheet here. isn’t the inner fidelity graph for the he400? not the he400i? two distinctly different cans. Maybe it’s inferred because of the 2014 year moniker? I’m totally asking not suggesting. thx!